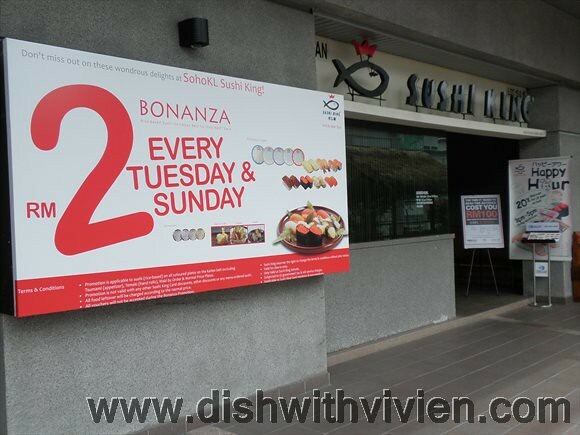 Don’t need to wait for Sushi King yearly RM2 Bonanza, Sushi King currently has RM2 promotion in their SOHO KL branch, just above Ole Ole Bali, same floor as Tenji in Mont Kiara Solaris. 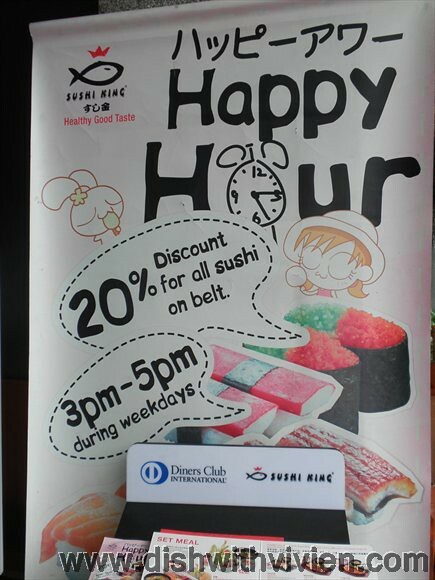 Promotion only valid on Tuesdays and Sundays. Prepare some time to burn though, because they are quite slow in giving out the expensive ones like boiled scallop, breaded prawn, unagi etc which normally cost RM6. Didn’t see any tempura prawn, breaded scallop during our visit.